It doesn't get any better than finding out your client is about to get a contract with a terrific house. I know I should be most excited about contracts for ME! But it turns out, things don't exactly work that way. ﻿ I am so much more excited for my clients. Go figure! I'll be back in the near with some amazing news! Do you stumble over which word to use? Its or it’s. There, their, or they’re? Then, you’re simply like the rest of us. Each of us has a word or words that trip us up from time to time. He gave it to Bonnie and me. He gave it to Bonnie and I? There are no excuses with the net for us not to look them up and correct them before submitting our manuscripts. If it’s worth writing, it’s worth writing right! Just when you thought you were all grown up, along comes the Hawaiian Island Detective Club to prove you're still a child at heart. Leilani and her friends are smack dab in the middle of a mystery. Smashed pineapples everywhere. 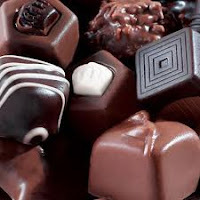 Mmm, I can smell them from here, sweetly announcing there's a mystery at hand. Spend some time with Cheryl and get an idea what makes her tick! Cheryl, you seem to know a lot about Hawaii. What inspired you to write this book? Any other books in the series? Any interesting experiences while living in Hawaii? Yes! I learned to surf, got scared by a pipefish while snorkeling (thought it was an eel! ), nearly lost my suit while body surfing, ate every kind of island food I could—including poi, took hula classes, and performed at my dorm’s luau. I loved every moment of island life! What is the writing process like for you? Do you know at the beginning of the mystery who will be the culprit? Not usually. I’m not a “plotter” but I do need to know what the mystery is and also something about where I’m going. The in-between can take many unusual turns before the real culprit is revealed. Favorite: Coming up with a great new idea for my next book. Also, reaching the end! Least Favorite: Because I write “Seat of the Pants,” I hate having to go back and “fix” things that don’t work anymore when I go off in some strange new direction! If you’re goal oriented, try setting a reasonable word count goal that allows for you to get ahead at times and gives you make-up time as well. Also, set aside that time to simply sit down and write—don’t go to any e-mails, facebook pages, etc. It’s all about planting yourself in front of that computer and pounding out the words! What is Pineapples in Peril about? 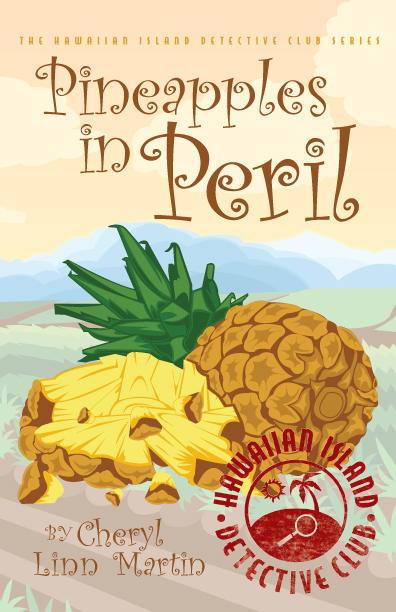 Leilani Akamai and her two best friends, Maile and Sam decide to investigate the vandalism taking place in the pineapple fields near their homes. They’ve been The Hawaiian Island Detective Club for years, solving pretend mysteries. This is their chance to solve a real one. Unless, of course, Kimo, Leilani’s annoying ten-year-old brother ruins everything. And then there’s Maile’s 16-year-old brother who’s the love of Leilani’s life. Ahh . . . the angst of adolescence! Do your characters ever get into messes? Oh my, do they! 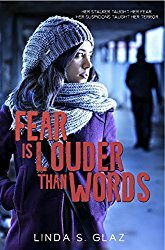 When they’re planning stakeouts and following people, Leilani and her friends have found themselves in some weird and sometimes scary situations. Probably Leilani. She is determined, yet in many ways has issues with her confidence. She also finds herself in trouble a lot, even though it always seems to be her brother’s fault. Yup, I have a younger brother! When are Books Two and Three of The Hawaiian Island Detective Club coming out and what are their titles? Menehunes Missing has a tentative release date of February 5, 2013. Ukuleles Undercover will probably be out in the summer or early fall of 2013. Tell me, what do you send to an agent to get his/her attention? Do you go to their site ahead of time and check to see what they want? Do you blanket the net with hundreds of emails designed as generic spam? What kind of responses are you getting? Just curious to find out what people deem as appropriate to send to an agent they've never met. to approach an agent and get a positive response, a full read, or a contract! 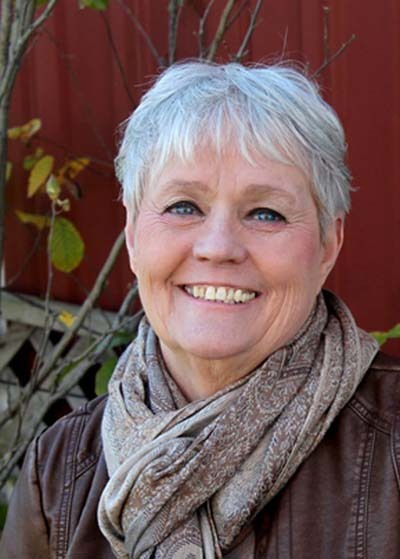 Emily Reynolds writes novels with comedic punch! And her blogs reflect her sassy attitude. Stop by and follow Emily all the way to the fun! Former Editorial Assistant to Terry Burns of the Hartline Agency, Emily is loaded with industry info and writing suggestions. Stop by, say hi, and learn what Emily is all about! 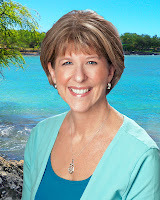 This week she's reviewing Cheryl Martin's new book, Pineapples in Peril.